We've curated several day trips that will bring adventure and awe to your stay. Two hours from Truth or Consequences, Silver City has been known for its copper mines. Today it is known primarily as an Arts Destination. There are over 25 shops and galleries in the historic downtown district. Western New Mexico University is located here too. Take I-25 south to Exit 63. Follow NM 152 west through Hillsboro. There are art galleries and restaurants in this historic district. Continue up the mountain to Kingston and over the Emory Pass (8107'). 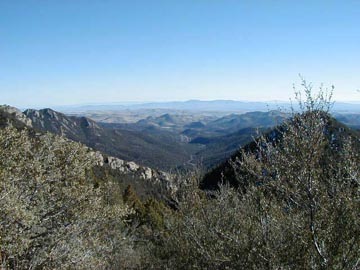 The Emory Pass Scenic rest stop looks east over the tops of mountain ranges. 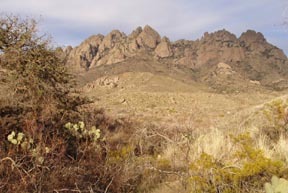 Hike the trails that run along the crest of the mountain in either direction from the rest stop. Continue driving down the western side of the mountains. Turn right on US 180 at Santa Clara. Take I-25 south. Exit 63 and turn right (west) onto State Hwy 152 toward Hillsboro. There are art galleries and restaurants in this historic district. Continue west up the mountain and over Emory Pass. Turn right (northwest) on State Hwy 35 for 28 miles. 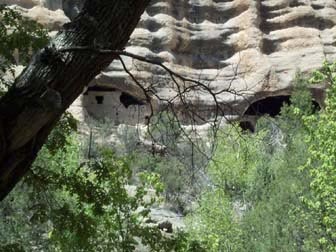 Turn right (north) on State Hwy 15 and continue 17 miles to the Gila Cliff Dwellings National Monument. 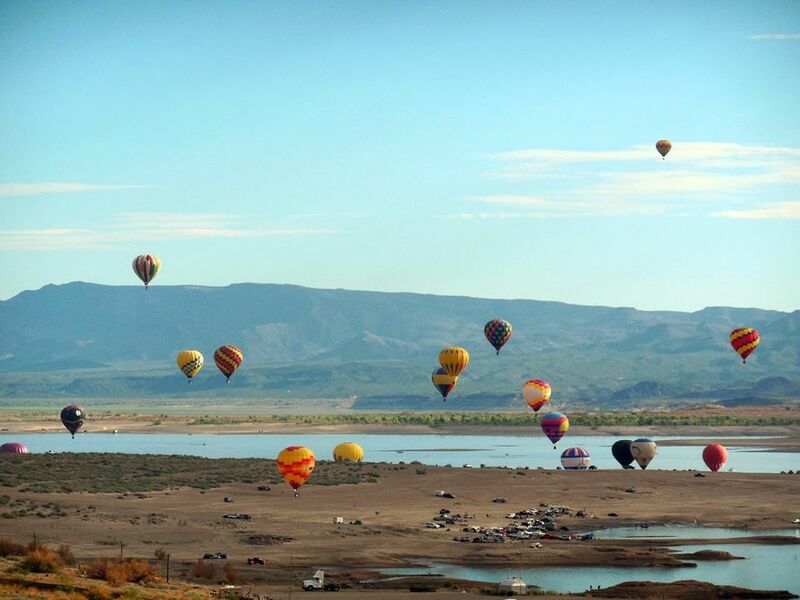 Elephant Butte Lake is the largest lake in New Mexico. A reservoir lake of the Rio Grande, there are unlimited opportunities for outdoor sports year 'round. 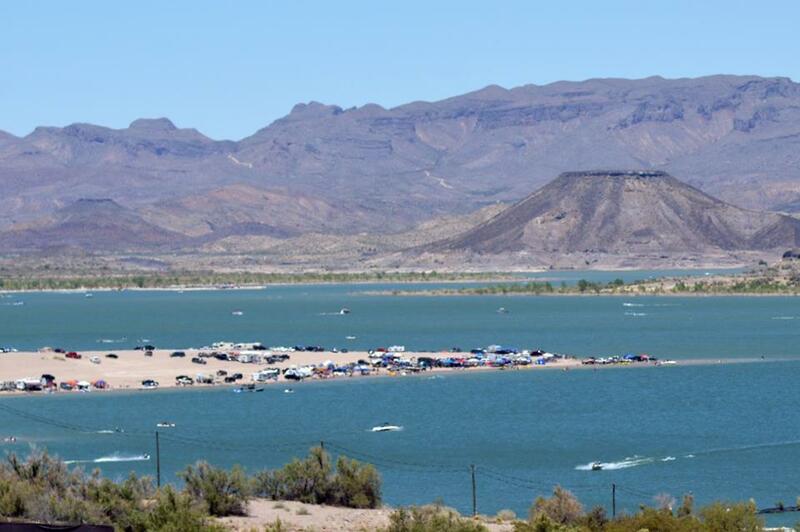 A 5 minute drive on NM State Hwy 51 from the stoplight in T or C will take you to the entrance of Elephant Butte Lake State Park. In addition to all types of watersports, you can enjoy hiking, mountain biking and birding. Take I-25 north. 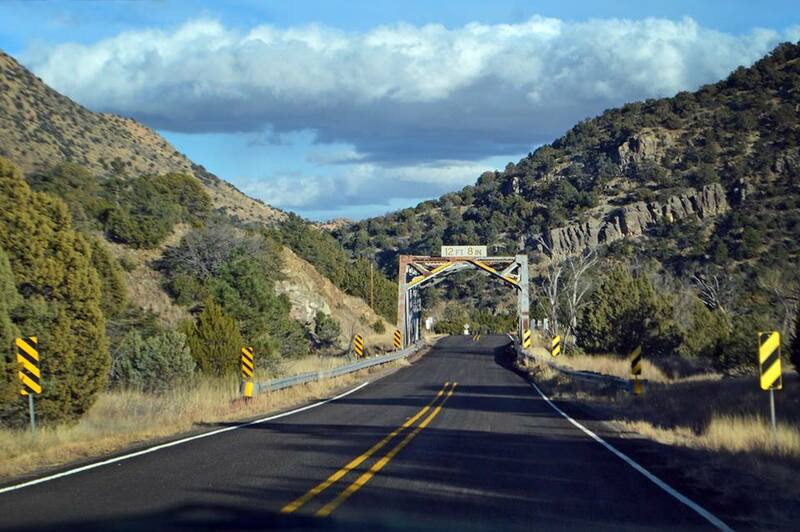 Exit 150 at Socorro on US Hwy 60. Continue 47 miles west to the Very Large Array (VLA). 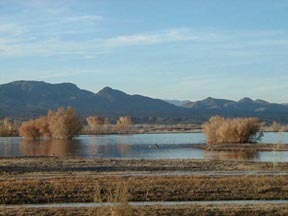 The Bosque del Apache National Wildlife Refuge is south of Socorro, take exit 124 from I-25. For the El Camino Real International Heritage Center, take exit 115 from I-25, drive south 1 mile and east 2 miles. Take I-25 south 70 miles to Las Cruces. Exit on University Avenue. Turn left (east) for Dripping Springs Road. The Farm & Ranch Heritage Museum is on this road. For Old Mesilla, turn right (west) on University Avenue and continue several miles to Avenue de Mesilla. Turn right and continue 1/4 mile. There are art galleries and restaurants in this historic district. Take I-25 south 70 miles to Las Cruces. Exit on US Hwy 70 eastbound over the San Augustine Pass (11 miles). 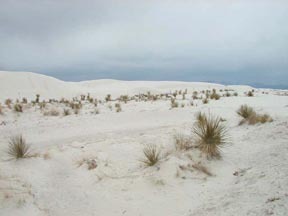 Another 37 miles takes you to the White Sands National Monument. Continue 11 miles to Alamogordo for the New Mexico Museum of Space History. 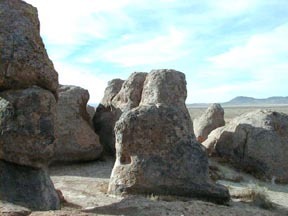 City of Rocks State Park is 25 miles northwest of Deming, New Mexico off US Hwy 180 on State Hwy 61. 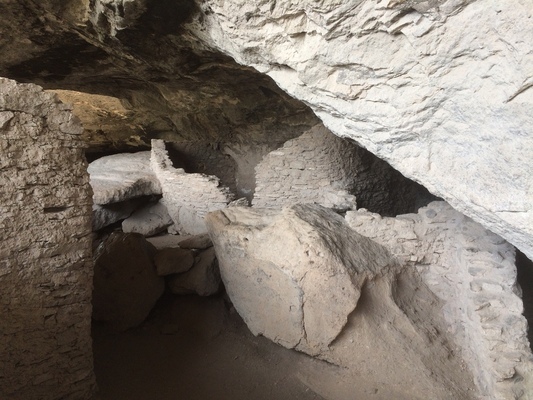 Rockhound State Park is south of Deming, NM. Travel 5 miles on State Hwy 11, turn left (east) on State Hwy 141 and continue 9 miles. Take a trip "South of the Border" for the day! It's only a 2 hour trip to the border. 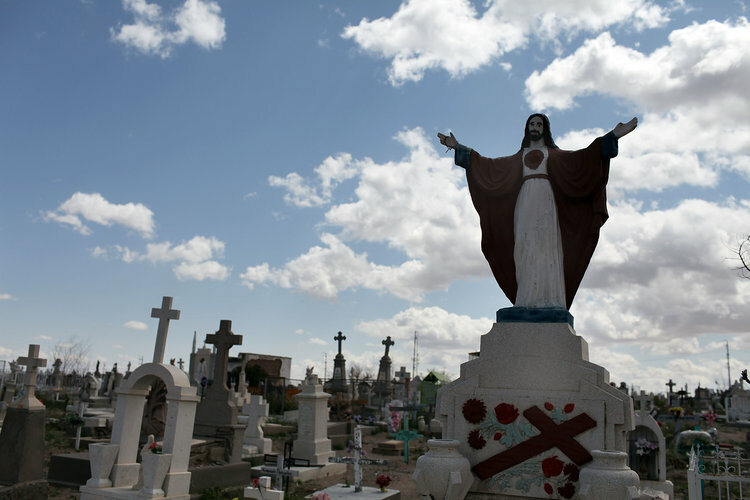 Juarez, one of Mexico's largest cities, is across the international border from El Paso, Texas. Palomas is a small border town 30 miles south of Deming, New Mexico on State Hwy 11. Columbus, NM is just north of Palomas. Both locations offer delicious Mexican food and colorful arts and crafts from regions of Mexico. Click here for a calendar of events in Sierra County.